This soft quilted primitive shoulder bag made from cotton homespun plaid fabric is the perfect way to express your love of the holidays! 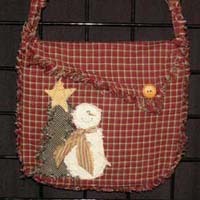 The Snowman bag is shown here and the ﻿autumn pumpkin purse﻿ style is also really cute. 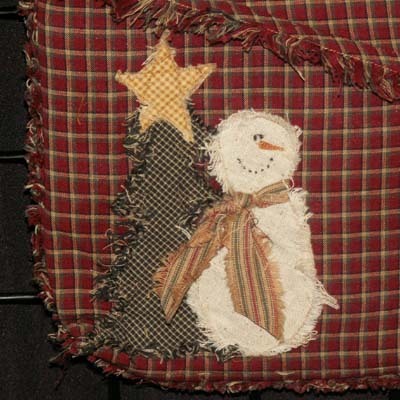 All the seams have been frayed to create a primitive shabby style. Quilt batting gives the purse body. The purse is lined inside with the same fabric as the exterior. Each purse has two pockets inside -- just perfect for your cell phone and sunshades. The shoulder bag measures 10" x 11". Strap is 37".